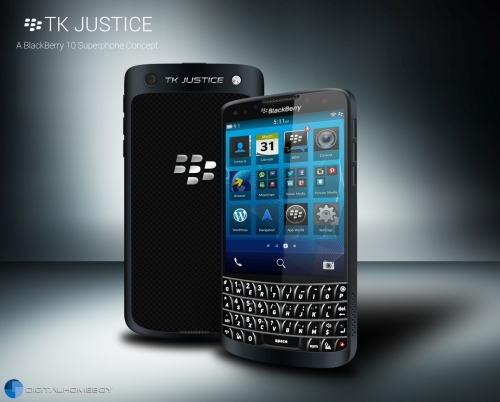 BlackBerry TK5 Justice Phone Concept looks stunning | BlackBerry Blast! BlackBerry fans around the world are waiting for BlackBerry 10, and we wish it looked like this. This is only a concept design so don't get your hopes up. I think RIM should take some cues from this concept because it looks way cool! DigitalHomeBoy is responsible for the design and I hope they're sending it on to RIM. Most of the BlackBerry 10 devices we've seen so far look nothing like this however. They look more like you would expect a BlackBerry to look like. If RIM wants to stay in the game however, they will need to make a splash with BlackBerry 10. Let's hope they have something like this up their sleeve.